There's something for everyone at our museum! Artifacts, maps and photographs capturing the history of Wisconsin's third oldest settlement are featured in the Museum at the Portage. The past is illuminated through hundreds of authentic pieces from this unique place at the intersection of the Fox and Wisconsin Rivers. Discover the story of Portage as you explore area history and culture shaped by the influences of rivers, native people, early explorers, brickyards, railroads, and local residents. 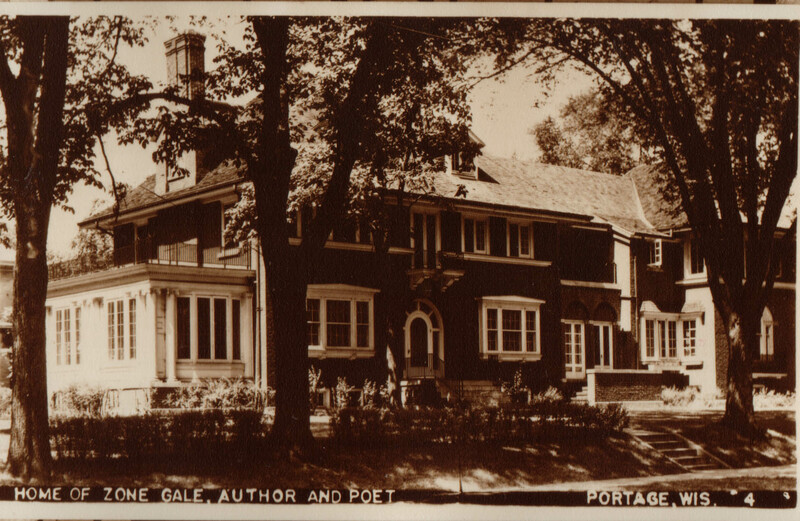 The Museum at the Portage is housed in the Georgian Revival-style home author Zona Gale shared with her husband, William Breese. Upon her death in 1938, her husband deeded the building to the city as a memorial to his wife. The city converted the building to a public library, a function it served until 1995 when new larger library was built. Zona's former home now serves as the Museum at the Portage, and visitors are able to step into Zona's study where she wrote many of her books and short stories. The woodwork in the study is exquisite and it's easy to imagine the author at her desk. Other unique features of the building include leaded glass windows, a sunken sun porch with mosaic fountain, a hidden bathroom in Zona's study, barrel ceiling in the upstairs bathroom, and well-maintained rose garden. There is no charge for admission to the museum, though we welcome your donation. After a brief orientation by one of our docents, you will be able to go on a self-guided tour, and the docent will be available to answer questions. The Museum is closed for the winter season. We reopen April 5, 2019. See you at the Museum in 2019!